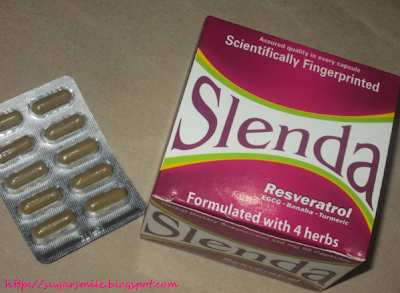 I've always been a skeptic when it comes to weight loss pills, but during their presentation, I learned that Slenda is an all-natural product. 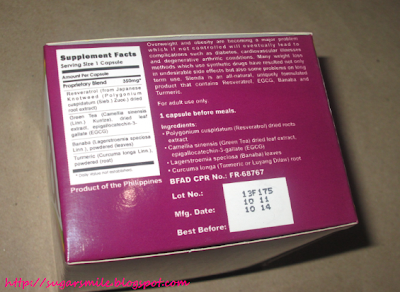 It contains Resveratrol (dried roots extract), EGCG (epigallocathechin-3-gallate), Banaba (leaves) and Turmeric (luyang dilaw root). 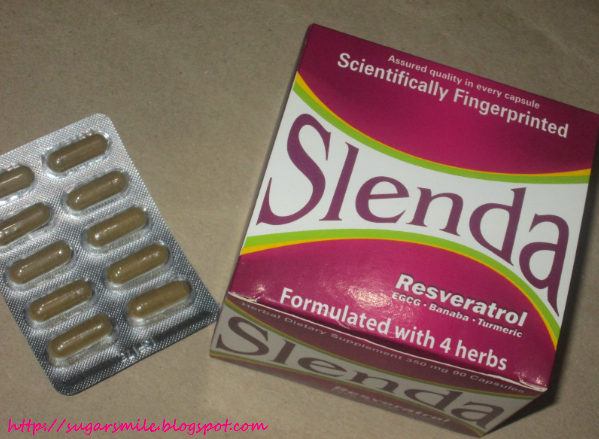 Slenda works best with a balance diet and regular exercise. It should be taken 3 times a day, 1 capsule, 10 minutes before meals. 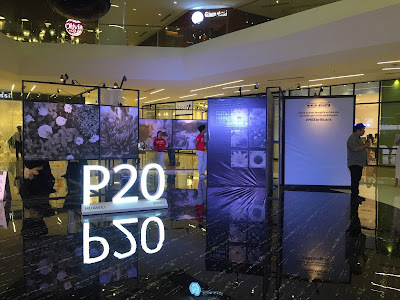 It is also affordable at P12.00 per capsule. You can also get a Slendance DVD just by checking this link: http://www.slenda.ph/slendance.html. They say that you should love the body you're in, but if you would like to have a healthier lifestyle and control obesity, I suggest you try Slenda now. It is available in all Mercury Drug, Watsons, South Star, Rose Pharmacy and other leading drugstores nationwide.